Can't read light on dark? Being typically middle-class and educated, and with a strong interest in equality, Quakers (at least in the global economic north) are probably more likely than the average person to be aware of the concept of privilege and oppression. This is, however, a fairly academic concept, with reasonably precise and specialised meaning, and my own conversations with other Friends, both online and in person, have illustrated that understanding of it is far from universal. 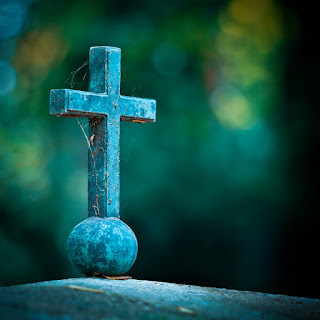 In this post, I will be discussing the idea of religious privilege, both in wider society and its impact within the Religious Society of Friends – particularly in Britain Yearly Meeting. Before we get into religious privilege, it's probably a good idea to make sure we're on the same page about “privilege” in general. When used in this context, the discussion of social advantage, it takes a particular sociological meaning. While the everyday sense of the word means some particular advantage, such as the franking privilege in relation to some legislatures, and there is a legal meaning related to the ability to compel evidence, or even whether evidence is admissible at all, this sociological meaning is both broader and more subtly specific. I am aware that some people don't like the term, or even the concept. However, in order to discuss the actual underlying idea in this post, it's necessary to use language that makes the point efficiently and without repetition of explanations. So I ask those of you who struggle with this language to push through it to try and understand the underlying point, rather than reject it based on the premise of the language and theory itself. Privilege, in this sociological sense, refers to advantages conferred, perhaps implicitly, on some social group. It often relates to the assumption that one group is the default in some context – that one sexual orientation is the default, or that people in general are one particular ethnicity, or that people in a certain job or workplace will tend to be of one gender. Thus, in most of the world, even relatively liberal countries, there is a presumption that people are straight until there is evidence pointing otherwise; embedded ethnic majorities with historical power imbalances lead to a social view that, if someone is being described but no ethnicity is mentioned, you will assume they belong to the majority ethnic group, or perhaps the dominant ethnic group where these are not the same. These are manifestations of straight privilege and, in the global economic north, white privilege, respectively. Privilege extends far beyond the assumption of default state, of course. We see in many parts of the global economic north that black men, especially, are more likely to be stopped, searched, arrested or killed by police; recent years have seen that extended to other ethnic groups that look like they might be associated with Muslim-majority countries and communities. Otherwise identical CVs are more likely to lead to an interview when they have a white-seeming name on them than an Arab, African or African-American seeming name – and in many economic sectors, more likely to get an interview with a masculine name than a feminine name. The manifestations of privilege are many and varied, but should not be taken to automatically make the person benefiting from such privilege be what might generally be considered “privileged”. Where someone is described as privileged, without qualification, the natural mental image is of a person from a wealthy background. A person can benefit from white privilege while not benefiting from economic privilege; a person can be white, male, straight and cisgendered, and still suffer from terribly poverty and disadvantage. They will, however, have advantages over a person in a similar situation who is not white, not male and so on. Those may seem marginal, but they make a real difference in most people's lives. The socially pervasive nature of such privilege, however, tends to make it invisible to those benefiting from it. I know that it took a lot of effort for me to comprehend the idea, and I felt attacked over it as I tried to learn and understand; the thing that made the most difference in my understanding was the fact of becoming more disabled, and thus losing some of my own privilege. I am white, in a white majority society; I am straight, I identify with the gender I was assigned at birth, I am male. While my class background is complicated, I speak in such a way and have benefited from enough education that I generally enjoy the privilege that stems from being culturally middle class. It took work and insight to realise what difference these things have made in my life. You could, of course, talk about these things entirely in terms of prejudice and discrimination directed at the unprivileged group – often termed, in such discourse, “oppression”. However, that leaves the idea of the unoppressed group as a default, as a base state. Framing it as privilege and oppression indicates that there is no neutral state; where some are disadvantaged, others are advantaged. This is also why it is important to talk about people who identify with the gender they were assigned at birth as “cis”, indicating that this is just another state, contrasted with “trans”, rather than an assumed default; the two particles are simply opposites in Latin, from which they are derived, as in Cisalpine and Tansalpine Gaul in Roman writings – and in cis/trans isomerism in chemistry. Speaking of privilege as well as oppression is to acknowledge that it is just as valid to see the situation as giving advantages to one group as it is to see it as disadvantaging the other group. The very fact that privilege tends to be invisible to those benefiting from it leads to a lot of tension as equality is promoted, that that privilege diminishes. Because it seems, to the privileged, that they are simply in a default state, as privilege is removed it feels much like introducing oppression. The loss of traditional elements of male privilege has, for decades, been bemoaned by some as attacks on masculinity, of prejudice against men; the removal of cultural defaults in societies with an historically normative cultural identity feels to some of that culture as an attack on that culture itself. This gives rise to such phenomena as “white pride”, or “straight pride” or “men's rights activists”, though in most cases the actions of such groups demonstrate that the only route they can see to dealing with their supposed oppression is to restore oppression towards the minority group. I have also had the pleasure of producing written ministry on the subject of loss of privilege, which I think can help with insight into this situation. Religious privilege, then, stems from being of the faith that is culturally expected in a given context. Taken nationally, it means being of a faith that has come to be culturally expected in that country. One popularly shared list online gives many examples of religious privilege in the context of a Christian-majority country, and while the list may seem excessive, it is generally quite reasonable. These points range from things related to festivals (likelihood of time off work, ready availability of music, decorations, cards etc. ), freedom to worship and lack of persecution, politicians who share your faith being able to openly reference that faith in their decisions, different presumptions of knowledge of customs, or lack of association of your faith with criminal activity. It sounds small, but it adds up, creating an implicit and pervasive othering that doesn't even require any active persecution. So, where do Quakers come into this? Obviously I am writing this from the perspective of being a British Quaker, and as such my view is very much from the perspective of someone in the historically Christian global economic north. Likewise, the situations internal to the Religious Society of Friends are from the perspective of Britain Yearly Meeting, and may be very specific to that. Other YMs, even others in similar countries, will have different situations – which I would, as always, love to hear about in the comments section. With those caveats, I see two areas that are interesting to explore – the relationship between Quakers and broader religious privilege in society, and the manifestations of religious privilege within the Quaker community. Quakers certainly miss out on some elements of Christian privilege in Britain; our religious practices are so far from the common core of most Christian sects that the pervasive basic understanding of Christian practices doesn't allow us to expect people in general to understand or know about them at all, even in the limited cases where that person has any idea about Quakers at all. At the same time, what reputation we have, and in some cases the very lack of knowledge about us, means we have some advantages associated with that privilege. While people might be more sceptical about giving to a Quaker charity than they are to a secular or mainstream Christian charity, they will not treat it with suspicion that the funds may end up supporting terrorists; our faith doesn't cause us to dress in a way that picks us out as “other” (excepting those who feel led to wear some form of formerly-traditional Quaker plain dress). Particularly where people are aware of Quakers, behaving publicly in a socially responsible and pleasant manner will be seen as typical, rather than assumed to be exceptional. There are even Quaker schools available, and very few people will assume that choosing to educate a child at one means indoctrinating them and trying to separate them from the dominant culture in our country. We even benefit from elements of privilege in this area that traditional Quaker teaching says we shouldn't; despite our historical testimony against keeping of times and seasons, most British Quakers now seem to keep to those Christian festivals that have become culturally pervasive holidays, celebrating Christmas and Easter, many even participating in such watered-down religious traditions as giving up something for Lent. These festivals may even be imposed upon Meeting for Worship, other than by being apparent from how people are led to minister, with Christmas all-age worship and a short nativity from the Children's Meeting seen as fairly normal in Meetings for which it is plausible. For some Quakers, this is a matter of following the holidays on a purely cultural basis, while for others it is an important aspect of living their beliefs, and many positions in between (or indeed of to the side). At the same time, there are some areas we lack the privilege in a very fundamental way. As already mentioned, our practices and principles are a mystery to the general public. If you mention something that happened at meeting, people will not understand it in the same way that they do when someone talks about what happened in church. For those who do know about Quakers, there can be a tendency to attempt to read someone's faith into everything about them, from their career to their politics and hobbies, in a way that is not done with regard to people of mainstream Christian faiths. While Quaker schools exist, and are not generally treated with suspicion, they are almost all private, and they are not terribly numerous; in large parts of the country, Church of England and Catholic state schools are readily available. And while we do not stand out in public, and thus get some essence of privilege from passing, we will in that case be presumed to have a certain common level of background understanding of practices common to mainstream Christian churches – and it is not unusual among those who are raised among Quakers to lack much understanding at all of, say, church services, in my experience. Living out our testimonies faithfully can cause difficulties when dealing with government and various institutions. It is not unusual to be required to provide a title on documents, bank accounts and similar, and if you need to claim out-of-work benefits it can be difficult to properly explain the kinds of work you cannot undertake in good conscience. Until recently, it could also be said that we were unlikely to see politicians of our faith, but we now have 2 Quaker MPs at Westminster, as well as Quaker MEPs and councillors, might mean that we are actually over-represented; my own MP once noted that there were twice as many Quaker MPs as there were Methodists – as she was the only one! So we can see that Quakers enjoy some elements of privilege related to our similarities and connections to the culturally dominant faith in Britain, and some elements of religious privilege exist independent of that due to our history and reputation, but we still miss out on many elements of religious privilege in wider society – though we are often well able to “pass”, given the choice to do so or the situation not highlighting our faith. What about religious privilege within the world of British Quakers? By this I don't mean that Quakers have privilege within Quaker Meetings when compared to non-Quakers; to the extent that this is the case, it is entirely understandable. However, we are a faith of very diverse beliefs (or conceptions, or experience, depending on how you like to think about it – if you really want to get into the distinction, check out an earlier post of mine on different conceptions and communication, and a post on Craig Barnett's blog about the difference between belief and experience). This means it is possible for religious privilege to exist within our community, where those of certain faith positions enjoying advantages, possibly invisible to them, that those of other faith positions do not. It is obvious that, for historical reasons, there is a degree of Christian privilege within Britain Yearly Meeting; it is equally obvious that some more Christ-centred British Friends feel that they are persecuted for their visible Christianity. How can both of these be true? Is this feeling of persecution merely the same reaction to loss of privilege that leads to white pride and men's rights activism? It's hard to be in any way certain about the answers to these, but if you're still with me and haven't stormed off in disgust or broken your monitor in rage yet, I'll have a go at explaining it as I see it. You may be pleasantly surprised. The historically-based privileging of Christianity as a theological position among BYM is visible in many places; our well-loved phrases and quotations using Christian language, the subtitle of Quaker faith & practice making specific reference to Christianity, the use of Christian or more generally theistic language in corporate statements, and even in the simple fact of our community having started its existence as an explicitly Christian one. These things mean that Christian Quakers have silent assurance at many points validating the acceptability of their theology among Quakers, something which is much rarer for non-Christian Quakers. The leads to a small but significant “othering” effect on non-Christian positions, not something horrible or disastrous, but very real. These all represent things that contribute to Christian privilege in our Yearly Meeting – but this does not mean that they should all be changed; indeed, the latter one could hardly be changed if we wished to do so! It does mean, however, that if we do intend our faith community to be truly welcoming of the full range of theological positions that exist within it, we should be aware of these factors – and perhaps consider changing or mitigating some of them. If we were to revise the Book of Discipline, would it really be necessary to include a reference to Christianity right on the cover, ready to imply that proper Quakers are Christian? Could we, with sufficient thought and care, make use of corporate language that does not erase a Christian presence, but that shows by implication that Christianity is not a requisite element of being a Quaker? We do every part of our community a disservice not to consider these factors. But things are clearly not all roses for Christian in Britain Yearly Meeting. The fact that upstarts like me challenge the existence of Christian privilege in our YM can naturally lead to feelings of persecution, even when not justified, but the actions of some Friends do make them justified. While a wealth of written material and history validates Christian theology within our Meetings, it seems rare that anyone speaks out against any modern ministry or writing which uses language that is not explicitly Christian, or even that is explicitly of some other concrete theology; conversely, while the existing written material of non-Christian basis has much less weight and history, you will hear Friends complain about the use of Christian or theistic language, which obviously creates a challenge for Christian Friends. 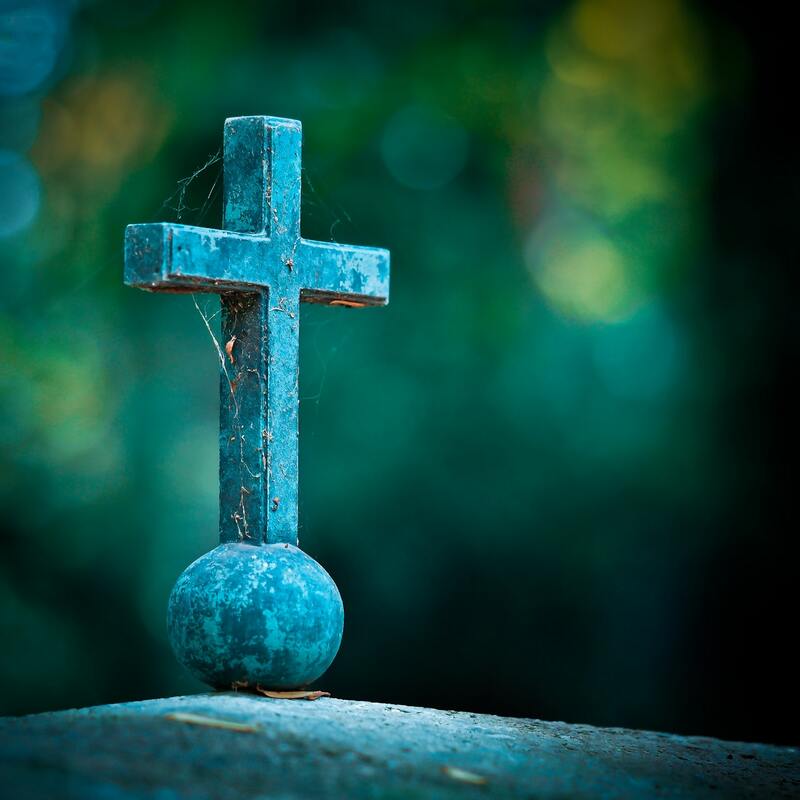 Those who have had negative experiences of other faith communities, especially Christian ones, may express their discomfort with theistic or specifically Christian language being used in their name, or even in ministry at all. The former is understandable, up to a point, but the latter is a problem. That said, I've experienced more cases of well-meaning Friends who have no problem with Christian or more generally theistic language expressing concern about it in case other Friends mind it, than I have experienced Friends objecting to it themselves. You will also find some non-theist Friends who consider themselves more spiritually advanced than Christian or other “superstitious” Friends, tolerant in the way someone might be tolerant of the stumbling behaviour and slow progress of an intellectually impaired friend or relative – and as patronising as many are towards such people. Christian Friends, in my experience, give as good as they get in this case, with some who tolerate non-Christian Friends, including non-theists, in the hope that spending time among Friends will bring them to Christ and the Christian God. Both are patronising and dismissive of the spiritual experience of the other group, but both fortunately seem to be minority attitudes among the respective groups. It sometimes feels like it's not such a minority, but I think this is largely because such Friends tend to be more likely to be outspoken about it, and make noise out of proportion to their numbers or influence. It must also be recognised that some of the fear of Christianity among some Friends comes from the associations their life so far has created with visible, outspoken Christianity. Media and life shows people that outspoken Christians tend to be evangelical, seeking to make as many people agree with their theology as possible; it also shows that outspoken Christians have a tendency towards homophobia, sexism, and racism, especially when you're aware of what happens on the other side of the Atlantic. Actually knowing many Christians in real life will tend to diminish that impression, though it rather depends on which Christians you know. However much this impression does not apply to the vast, vast majority of Christian liberal Quakers, we cannot simply dismiss it, as it is a real part of the experience and understanding of some Friends. We can only hope to undo it with honest communication and supplying the better examples of Christianity, while being understanding of the fact that they have this impression for now. So yes, in my opinion the feeling of persecution is related to the mistaken impression common to those experiencing a loss of privilege; it is not, however, only that. There is open, if polite, hostility towards Christian expression within our Yearly Meeting. That comes with yet another caveat, though – this hostility is not as severe or widespread as it is often made out to be. That exaggeration may be partly a result of the loss of privilege effect, but I think it is also a result of how it is talked about, becoming bigger simply by being spoken of. It would be particularly unhelpful of me to point out this problem without giving some ideas of how it can be improved, how we can move forward with reduced tension and increased fellowship. I don't have a magic wand, and I don't pretend to be an expert in human behaviour or Quaker organisational dynamics, but I have some ideas, based on my own experiences of what has reduced this tension in small scale situations. The first of these is to focus on the right part of “reduced tension and increased fellowship” – that being the increased fellowship. Where we know that we can function socially, organisationally and spiritually with those who have different views, we will see them as less of a threat. One way to do that is to simply improve the fellowship between Friends of different views, so we see what one another is like outside of those theological matters – that we are all caring and supportive, that none of us thinks the other is a rabid missionary type, nor godless, rudderless hypocrites. When the “other” is seen as truly human, a fully realised and whole person, they inevitably become less “other”. The second idea is to reduce the extent to which we see these different theological positions as two-dimensional. Not all Christian Quakers mean the same thing by that – in fact, it can be hard to find two with even nearly identical conception. The same is true of non-Christian Quakers, or just non-theists. By talking about and really trying to understand one another's spiritual experiences, get our heads around other people's conceptions, we will see that there aren't two different ways of seeing our spiritual life, nor five, nor ten. It is an incredibly rich tapestry, and it's not even hard to find two Christian Friends and a non-theist where one of the Christians finds their spiritual experience has more in common with the non-theist than with the other Christian. The more people understand that, experience it for themselves, the less the situation will lead to tension. So there is a difficult situation before us, but it is far from hopeless. We already have the tools and skills to resolve it, I sincerely believe. We need merely the will to do so, and to take that decision and put in the work. Part of the point of this blog is so I can contribute to this, to do some work and to encourage others to do the same. I cannot believe that there isn't the will and energy in our Yearly Meeting to do so. Let all Friends who recognise that there is a problem come together, even if we can't all agree exactly what the problem is. Let us not fracture into several groups concerned about different problems – about Christian essentialists, about non-theists, about different ideas about the “wrong sort of Quaker”. Let us recognise that there is a problem, and bring the will to resolve it, and do so together. It will be necessary to explore the problem, to see one another's understandings of what is wrong and what we think needs to change – and when we achieve that, we are a good way towards resolving the underlying problem itself. Did you enjoy this post, or find it interesting, informative or stimulating? Do you want to keep seeing more of these posts? Please consider contributing to my Patreon. More information is available in the post announcing my use of Patreon. If you enjoy this blog, or otherwise find it worthwhile, please consider contributing to my Patreon. More information about this, and the chance to comment, can be found in the post announcing the launch of my Patreon. I'm a self-employed geek, non-theist Quaker, role-player, disabled person, speaker, writer, campaigner and activist. Much more besides, but that will do for now. Liberal Quakerism as a "Self Religion"? What Happened to Quaker Missionary Zeal? Why Are We So Quiet? What Is The Real Crisis In Masculinity? Prejudice, the Individual, and "Aphorism 4"
All content copyright Sam Barnett-Cormack except where otherwise noted. Simple theme. Powered by Blogger.